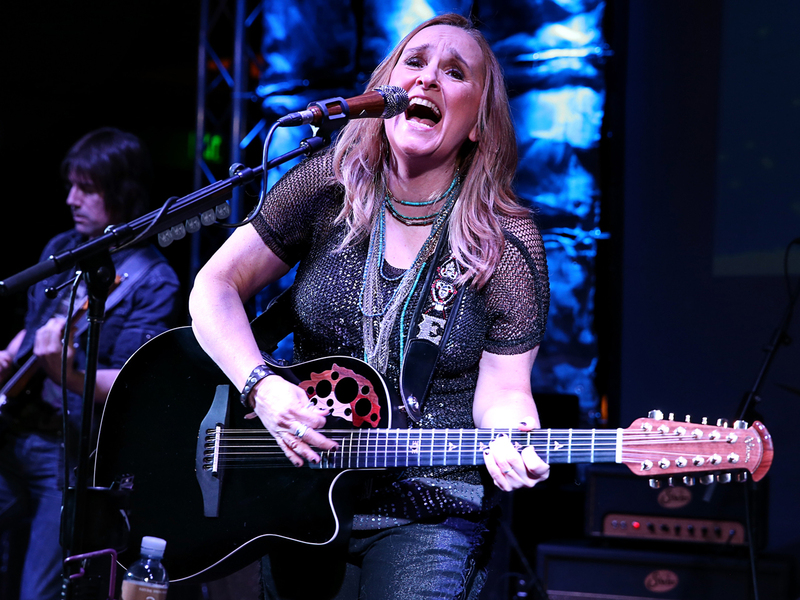 Melissa Etheridge: Angelina Jolie's mastectomy decision was "fearful," not "brave"
Melissa Etheridge said she doesn't agree with Angelina Jolie's choice to have a preventative double mastectomy after learning she had the BRCA gene mutation that could lead to developing breast cancer. In a recent interview with the Washington Blade, Etheridge, a breast cancer survivor, said, "I wouldn't call it the brave choice. I actually think it's the most fearful choice you can make when confronting anything with cancer." In a follow-up statement, released Tuesday to ET Online, Etheridge said, "I don't have any opinion of what she 'should have' done. All are free to choose. I only objected to the term 'brave' describing it." After Jolie, 38, opened up about her decision to undergo the procedure in a New York Times op-ed, her husband, Brad Pitt, 49, said the choice was "absolutely heroic." But Etheridge, who was diagnosed with breast cancer in 2004, said, "I have to say I feel a little differently. I have that gene mutation too and it's not something I would believe in for myself." She added, "My belief is that cancer comes from inside you and so much of it has to do with the environment of your body. It's the stress that will turn that gene on or not. Plenty of people have the gene mutation and everything but it never comes to cancer so I would say to anybody faced with that, that choice is way down the line on the spectrum of what you can do and to really consider the advancements we've made in things like nutrition and stress levels." Etheridge, 52, underwent cancer treatment in 2004, making a memorable appearance at the 2005 Grammy Awards, when she took the stage -- bald from chemotherapy -- to perform "Piece of My Heart," as a tribute to Janis Joplin. "I've been cancer free for nine years now and looking back, I completely understand why I got cancer," Etheridge told the Washington Blade. "There was so much acidity in everything. I really encourage people to go a lot longer and further before coming to that conclusion." Jolie admitted in the New York Times piece that it was a difficult decision, noting, "On a personal note, I do not feel any less of a woman. I feel empowered that I made a strong choice that in no way diminishes my femininity." At Monday night's "World War Z" premiere in New York City, Us Weekly asked Pitt what he thought about Etheridge's comments. After hearing the remarks, which were news to him, Pitt said, "Melissa's an old friend of mine. I'm sure we'll talk on the phone. I don't know what it is." Etheridge's interview in the Washington Blade coincides with her summer tour behind 2012's "4th Street Feeling."